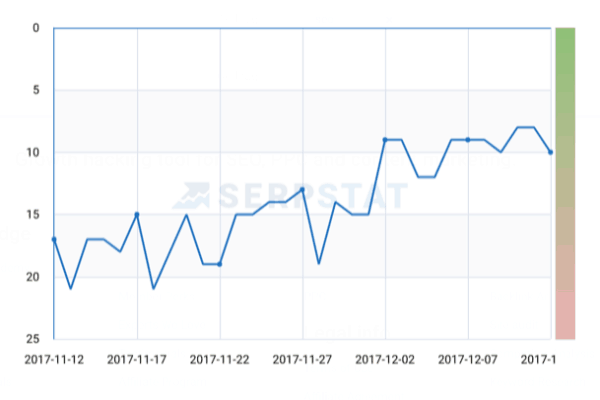 With 14 years of online store experience, we'll see it over and over again: Google.com is the source of the most motivated customers you get into the online store. They want to buy your products and the money is "loose". Why are Google rankings so important? Imagine yourself. You go to Google.com to search for a product you want. Maybe you are seeking "Product Name + Price" and you will get a list of results. Everyone is right-winged for your search. It's almost as if Google recommends them. Are you motivated to buy then? Yes, most likely you are both "hungry" to find the right product and ready to buy. Because you searched for the price. Those who come from Google are therefore motivated buyers. They will buy. And that's the kind of customer you would like in your online store. They want the item. Then it's just about making sure you're able to list the customer that it should buy from you. How can you get started with search engine optimization of your online store? You MUST spend time writing good meta information. Meta-title must be in place, but also meta-description. Not only on products, but also on categories. Use this space consciously to get better rankings and to entice your customers! Write texts for both machines and people. Tip: You must make both of them. Both human customers and the Google machine. It must be easy to read, easy to be inspired by, and at the same time give Google what the google machine wants. The best thing you can do is make people click around the site. Well, the best thing is that they act. But considering SEO, it's best to get clicks. Certainly make them see a video. Then you reduce the leap rate and Google will look at your online store as more relevant. Make customers "like" and "share" your pages on Facebook, Twitter, etc. Competitions are fine, for example. You should work for your online store to be featured in social media, and "similar" and "shared". The commitment tells Google that your online store is relevant and attractive and you rank better. You should have Open Graph in place. This is not directly SEO, but very indirect. Because it gives more traffic from Facebook and such sites and affects how Google looks at your website. Linking to your website tells Google that your online store is important and also helps Google understand that your online store is a must have in the industry. When Google understands that, you'll have many additional "free" customers coming in line. Want help with SEO for the webshop? Here you can get help! Since 2003 (yes, 15 years!) We have worked with many different types of online stores and solutions. The probability is great for us to help you. It is guaranteed profitable to get to SEO for your online store! Just imagine that you get customers coming by every single day, all of which are motivated buyers. They have a problem, or need, and you have the solution. Contact us to learn more how we can help you.